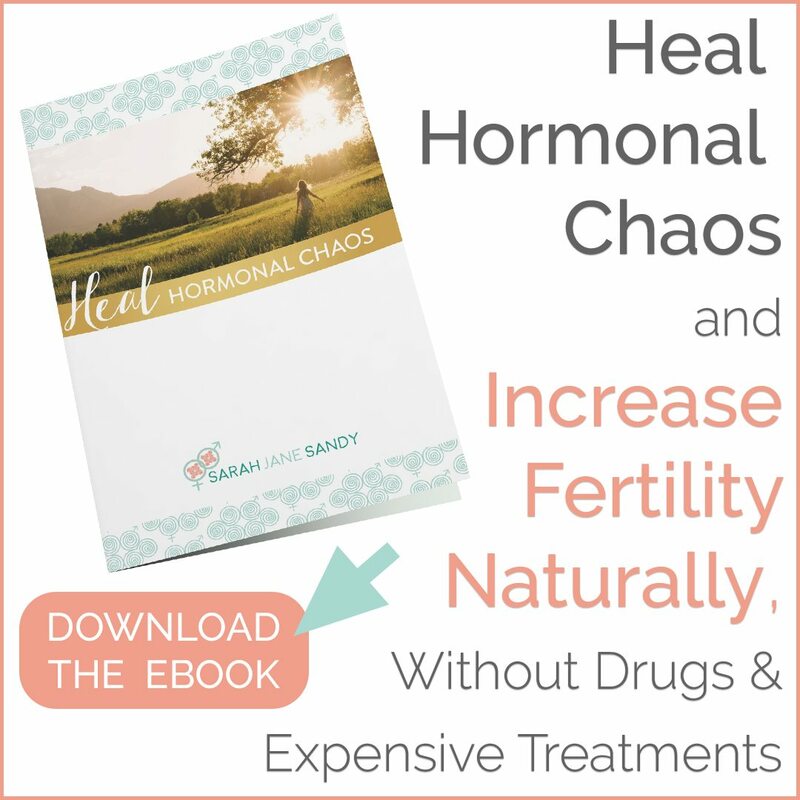 Here at Sarah Jane Sandy, we often talk about hormones and how hormonal chaos can negatively impact our day-to-day lives, as well as our fertility. And while I rarely recommend supplements to completely repair these imbalances, there are certain high quality, targeted nutrients that can be extremely helpful for restoring your endocrine system to function optimally, when used in conjunction with an ideal diet and lifestyle. These supplements can aid in alleviating PMS and addressing symptoms caused by specific hormone conditions such as endometriosis, PCOS, fibroids, low progesterone or estrogen dominance. Along with a healthy lifestyle, supplements have the power to alleviate nagging symptoms and assist us in getting back to our natural state of balance. Remember that supplements are most effective in the right internal ecosystem so if your diet is fundamentally endocrine disrupting, then no amount of supplementation is going to get you to your goal. When it comes to taking supplements, you always want to select the highest quality manufacturing standards possible. In addition, you have to look closely at the other ingredients. Many supplements use soy derivatives, corn, gluten, sugar, aluminum, and artificial colorings in their manufacturing. These are endocrine disruptive! There are very few brands that I use and trust and the rest just make very expensive pee. If you’re going to use supplements, always invest in the best. I recommend starting these packets as soon as possible before getting pregnant. The earlier supplementation begins the better because women need adequate nutrient stores to meet the greater nutrient demands of a growing baby. You will continue to take two packets per day throughout your entire pregnancy and post-pregnancy, especially if you’re breastfeeding. Prenatal Pro Multivitamin: this prenatal multivitamin contains potent levels of all necessary vitamins and minerals that play a part in the intricate processes of the formation of body proteins, structural compounds, chemical transmitters in the nervous system, red blood cells and the skeletal system. Prenatal Pro also includes NatureFolate, the methylated form of folate which is always advised in place of synthetic folic acid. OsteoForce Multimineral: a unique formula delivering a synergistic blend of minerals necessary to support healthy bone formation in baby, as well as protecting mama’s bone health. OsteoForce provides the minerals calcium, magnesium, zinc, copper, manganese, potassium and boron, along with vitamins C, D and K – all in highly bioavailable and absorbable forms. OmegAvail Ultra Fish Oil: a high potency omega-3 product, providing 600 mg EPA and 400 mg DHA in each two softgel serving. The digestive aid lipase is included to help prevent any fishy aftertaste that sometimes occurs with cheaply produced fish oil supplements. Maca is an adaptogenic root from high in the Andes Mountains that has been used for more than two millennia to promote fertility in both men and women. It is also amazingly helpful with stress adaptation. Maca nourishes the entire endocrine system, because it supports the body’s own production of hormones by supporting the master glands in the brain to correct a hormone imbalance at its source, therefore affecting estrogen, progesterone, and testosterone. Studies show that females given maca respond with increased regularity in cycles and easier ovulation. Another result of taking Maca is a marked increase in libido for both men and women. Maca works particularly well to balance the ratio of estrogen and progesterone in the body which is essential to alleviating PMS symptoms as well as getting pregnant successfully and carrying a healthy, full term pregnancy. Take continuously for the first 4 months, and then take a 7 day break. Continue to take a 7 day break every 2 months. STOP TAKING WHEN PREGNANT. Vitex is one of the most powerful herbs for women’s fertility and menstrual health. There are numerous studies and testimonials of Vitex and its effects on the body. Vitex helps with a range of issues such as PMS, low progesterone, lack of ovulation, irregular menstrual cycles, lack of a menstrual cycle, acne and so much more. Vitex offers many benefits but requires patience and consistency of use. I find that it works best when used all month long and taken as one dose in the morning on an empty stomach. One of the reasons Vitex is so effective and popular is because of its ability to balance hormones, while not actually containing hormones itself. Vitex supports hormonal balance in the body by having an effect on the hypothalamic- pituitary- ovarian axis (hormonal feedback loop), correcting the problem at the source. STOP TAKING WHEN PREGNANT. An essential fatty acid in Evening Primrose Oil has anti-inflammatory properties, as well as helping to inhibit tumor growth for anyone suffering from endometriosis. As a supplement, Evening Primrose Oil aids hormone balance and prevents cramps and headaches as you’re going through your menstrual cycle. Vitamin B6 helps to regulate your hormones. One research study has shown that taking Vitamin B6 reduced blood estrogen levels, increased progesterone levels and resulted in improvements in PMS symptoms. Research has also shown that women with high levels of Vitamin B6 have a 50% lower chance of miscarriage. DIM (diindolylmethane) is a compound that helps to support healthy estrogen metabolism. DIM balances the hormones by breaking down estrogen and removing it from the body. Too much estrogen leads to lower levels of progesterone. By cleansing the body of excess estrogens, DIM can help your body decrease estrogen and increase progesterone levels which is extremely helpful for optimizing fertility. STOP TAKING WHEN PREGNANT. Not only does magnesium allow the body to absorb calcium, it also regulates the pituitary gland, which in turn regulates hormone levels. The pituitary gland regulates the production of FSH (follicular stimulating) and LH (luteinizing) that in turn regulate the production of estrogen and progesterone. When it is lacking, your body will produce less of necessary hormones that keep your reproductive system in good shape. Boosting your magnesium can help to heal PMS, PCOS, adrenal fatigue, menopausal symptoms, and all other hormone-cycle related health problems. And the great news is that once your magnesium levels are balanced, the positive changes happen fast. Magnesium is especially helpful for women who struggle with PMS, as it helps to boost progesterone levels in the body. Magnesium is also ideal for supporting adrenal health and minimizing the negative effects of stress on the body, which also helps to boost progesterone levels! Magnesium is especially good for women who suffer from constipation, as it helps draw water into the colon and promotes easier bowel movements. And lastly, but very importantly, magnesium is incredibly helpful with promoting a good night’s sleep. Sleep tight knowing that you have this powerful supplement in your corner! 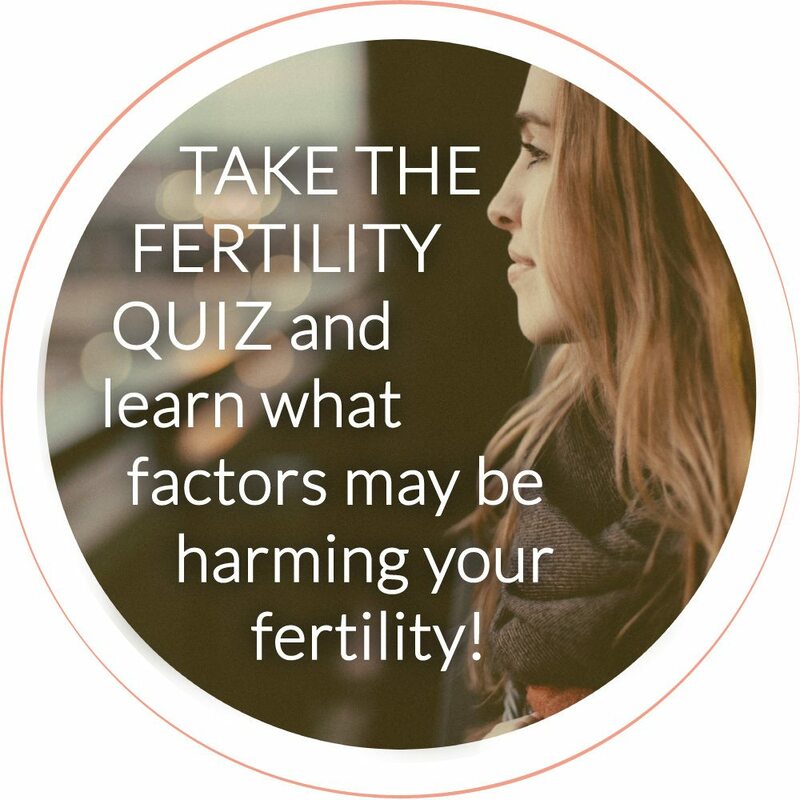 Studies show a significant correlation between vitamin D levels and fertility: low levels of vitamin D negatively impacts fertility. One study measured vitamin D levels in women undergoing IVF and found the odds of pregnancy were four times higher for women with high vitamin D levels compared to those with a vitamin D deficiency. Another study found that in the group of women with the highest vitamin D levels, 47% became pregnant, while among women with low vitamin D levels, the pregnancy rate was only 20%. Another more recent IVF study revealed a higher fertilization and implantation rate in a group of women with higher vitamin D levels. Specifically for women with PCOS, Sensitol is a unique formulation comprised of two naturally occurring isomers of inositol – myo-inositol (MI) and D-chiro-inositol (DCI) – along with alpha lipoic acid, designed to support normal insulin function and cellular metabolism. Inositol is supported by several studies to alleviate symptoms associated with PCOS by improving biochemical parameters surrounding insulin resistance. Inositol has been shown to significantly reduce insulin resistance, improve ovarian follicle maturation, restore spontaneous menses, increase ovulation frequency, improve egg quality and most markedly positively impact metabolic factors. Specifically for women with fibroids, endometriosis or cyst formation, Inflammatone contains a blend of proteolytic enzymes. Enzyme therapy is one of the best and most effective natural treatments for endometriosis, fibroids, blocked fallopian tubes and cysts. Specific enzymes can reduce the scar tissue and digest the excess tissues that can result from these hormone conditions. Enzyme therapy also aids women by reducing inflammation and may help with the pain that sometimes comes with these conditions. The blood cleansing actions of enzymes help to bring proper circulation to the reproductive system and get the “stagnant blood” cleared out, bringing fresh oxygenated blood to your uterus and ovaries. STOP TAKING WHEN PREGNANT. What’s your experience with supplements for PMS? Have you used certain ones that you like? If you’ve been using specific nutrients to help with your symptoms, what kinds of benefits have you experienced? Do you have a hands-down favorite supplement that you’d recommend for women struggling with PMS? Spread some Supplement lovin’! Sharing is caring, and I bet you have some friends who would love to read this too :). Looking to have a more in-depth conversation about utilizing specific nutrients to optimize your hormonal health? Schedule a consultation with me!